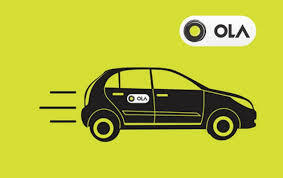 Today, It is time to review one of so called popular cab service in India OLA cabs. My first experience with this cab service is so bad that I may not use it next time. On 13 Feb, 2016, I booked an OLA cab in advance from Zirakpur to Chandigarh Sector 27 for next day at 9:30 AM. 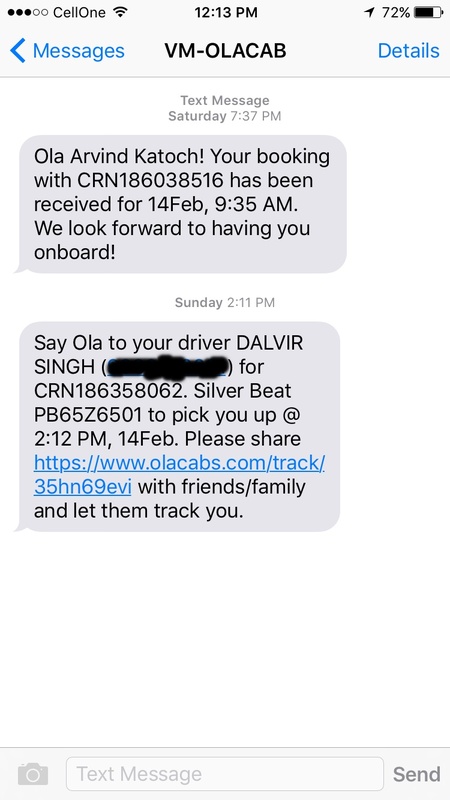 On 14th Feb, 2016 at 9:25 AM, I checked my mobile for a message from the OLA cab with details of cab and the cab driver. However, there was no message in my inbox. So, I checked the app and found that my booking was cancelled and surprising, I was not informed. Now, as I was stuck in a place without any conveyance. However, thankfully to the Taxiforsure app, I got another cab within 5 minutes. I was using taxiforsure cabs from long time and mostly got a taxi on time. However, my first experience with OLA is bad. In the afternoon, I found that Rs 100 were allotted to my account for free ride. 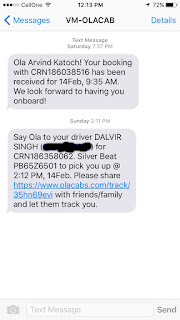 I again decided to give OLA can anther chance and booked an OLA mini cab from Chandigarh. I got the message with driver details who was to pick in five minutes. I patiently waited for ten minutes and then found that no one came or even not received any call from the driver. Then, after one minute I got a message that I have completed my journey and my bill is Rs 53. It was a shock when You never step in the vehicle how you get a bill. When I called the driver then he first said that there was no booking with my name and when I further inquired then he said that someone gave him hand and step into the vehicle; and he thought that it was me and he step out after 1.4 KM. This was a highly irresponsible answer by a cab driver, I ever heard. This was the first experience with me when such an incidence has happened. I took taxis in many places through the app and by mobile booking; however, I never faced such inconvenience which I faced with OLA cab. Here again, taxiforsure came to my help and within five minutes I got another taxi. However, I am not happy with an unprofessional attitude of OLA cab and its driver. If they don't want to take passenger with free coupon (ride) then why company issue such coupons. Such actions can cause great harm to any person who is in a hurry. I sent mail to the OLA support and in reply, they just said that they forwarded this matter to the respected team. My rating for OLA cab is 0 out of 10 and I will never use them again.